Track And Field Authority Bars Russian Athletes From Competing In Rio Olympics : The Two-Way The International Association of Athletics Federations said that despite "good progress," Russia hasn't done enough to address a "deeply rooted culture of tolerance — or worse — for doping." 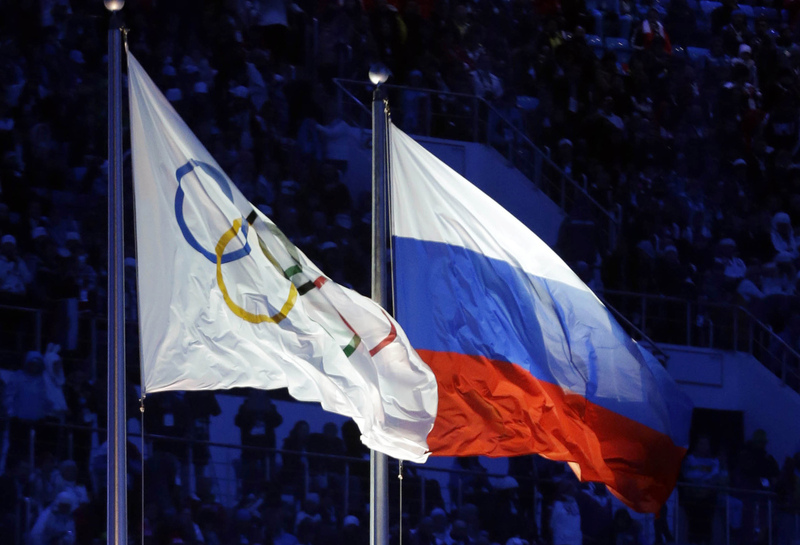 Track and field's world governing body has unanimously decided to bar Russian athletes from competing in the upcoming Summer Olympics in Rio de Janeiro amid allegations of state-sponsored doping. The International Association of Athletics Federations made the announcement at a press conference Friday in Vienna. "Because the system in Russia has been tainted by doping from top level and down, we cannot trust that what we call and what people might call clean athletes really are clean," said Rune Andersen, head of the task force that provided recommendations to the IAAF. "The task force does consider, however, that if there are individual athletes can clearly and convincingly show that they are not tainted by the Russian system because they have been outside the country or subject to other strong anti-doping systems, including effective drug testing, then there should be a process through which they can apply for permission to compete in international competition — not for Russia, but as a neutral athlete." Additionally, athletes who have made an "extraordinary contribution to the fight against doping in sport" should be able to apply for this permission, Andersen said. The IAAF said in November that it had provisionally suspended Russian athletes from world competitions because of the scandal. As The Two-Way has reported, the suspension came after an independent commission found evidence of state-sponsored doping. The report, which was commissioned by the World Anti-Doping Agency, said that "top Russian athletes had been systematically using drugs to win medals, including in London at the Olympics in 2012," as NPR's Corey Flintoff reported. The explosive report found what it calls a "deeply rooted culture of cheating." It adds: "The investigation indicates that the acceptance of cheating at all levels is widespread and of long standing." The IAAF has released this timeline of major events in the suspension process and Russia's attempts to fulfill the conditions for reinstatement. To try to address the allegations, Russia has fired a number of top officials with the country's anti-doping program. "The deep-seated culture of tolerance (or worse) for doping that led to [the Russian Athletics Federation] being suspended in the first place appears not to have changed materially to date. "A strong and effective anti-doping infrastructure capable of detecting and deterring doping has still not been created. "There are detailed allegations, which are already partly substantiated, that the Russian authorities, far from supporting the anti-doping effort, have in fact orchestrated systematic doping and the covering up of adverse analytical findings." Corey tells our Newscast unit that "Russian officials and athletes have argued that clean athletes shouldn't be punished for the actions of a few cheaters." On the other hand, he notes, "some elite athletes from other countries, including the U.S., have said that the real scandal here is that the Russian government allegedly ran a state-sponsored doping program and somebody should be held accountable." "Clean athletes' dreams are being destroyed because of the reprehensible behaviour of other athletes and officials. They have sacrificed years of their lives striving to compete at the Olympics and now that sacrifice looks likely to be wasted." The International Olympic Committee is set to meet Monday in Switzerland and, according to Corey, "could potentially overturn any ban from this international athletic federation." However, IAAF President Sebastian Coe seemed to dismiss that scenario: "We need to be clear here — the eligibility of athletes to compete in international competition is entirely a matter for the IAAF."